I’m not sure when it happened but it did. Only a moment ago, the three of us sisters were making the familiar trek back to the family homestead in a sputtering secondhand Datsun B-210, bantering back and forth in the way that only sisters or good friends do, with backpacks of clothes and books, snacking on potato chips, pop and Swedish Berries while harmonizing with James Taylor and Carole King to assure them that we, too, would be there if they ever needed a friend. And the next minute, three decades later, the banter is as lively as ever as we pack up one sister’s stylish new Mazda with our luggage sets, a trendy Goldie-Poo, our specialty coffees and gluten-free goodies. The minor differences are hardly noticeable and time seems to stand still as we listen to a reunion concert of James and Carole and commenting on how well their voices are aging. For a moment, we are in our twenties again. 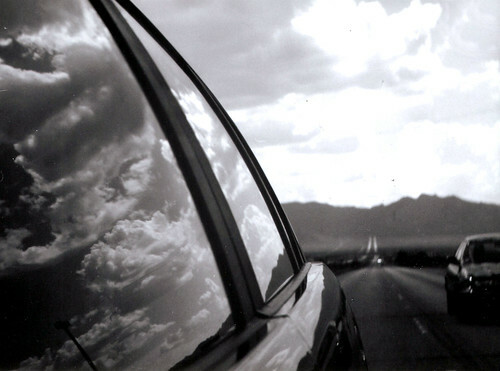 But as we fly down the highway, the dream of stopped time is interrupted by the wind screaming through a frantically opened window in the back of the car as one sister has a hot flash that leaves her feeling like she is stranded in a desert wearing a snowsuit. The other sister who is driving is cradling the steering wheel, hunched up and over it to relieve pressure on her lower back and yelling over the wind and music to tell the hormonal power surge victim in the back to the close the window and she’ll turn down the heat. Unable to tolerate the noise level, I turn down the music just as I get an incoming text. Unfortunately, my arms aren’t long enough to hold the phone far enough away to read the tiny print so have to locate my reading glasses in the bottom of my bag. That’s when it hit me. I’m on a road trip with the freaking cast of the Divine Secrets of the Ya Ya Sisterhood! But when did this happen? We got older. Apparently, it happens. We got older but we’re not old. My grandmother is almost 101 years old so, if genetics play a role, we’ve got still got half a lifetime to go. Despite the hormone-induced ‘tropical moments’, the stiff joints and the need for more than just fashionable eye-wear, we are very much the same as we were in our twenties. We each have resilient zest for life, a healthy contempt for being told what to do, a creative sense of style, a humorous take on life and many roads not yet taken. Now we also have a more elegant energy, an understated wisdom from the many paths already taken and the confidence to make this trip anything we want it to be. Less ‘shoulds’ and more ‘coulds’. We also have the charming audacity to make the sign of devil’s horns and declare this an adventure, in the raspy voice of an aging rock-and-roller, “Road Trip” all the way there and all the way back. Just try to make us grow up and grow old, I dare you! Just wait, hold your dare for a moment, just until after this hot flash passes. When I was in Grade 1 or 2, our teacher had us lie down on paper that came in large rolls and take turns tracing each other. Once we had cut out along the penciled lines tracing of ourselves, we were asked to clothe it and colour it based on what we wanted to be when we grew up. The cut-out version of my 7 or 8 year-old self was crayoned to look like a nurse with a white uniform and yellow hair. At that point in my life, my career path was most likely chosen based on the kind tenderness shown to me by a nurse during a brief hospital stay as a young child. Little did I realize that the career I had chosen would mean that I had to demonstrate increasing proficiency in math, science and would to have be open to dealing with the icky bodily fluids of others. Hmmm. Clearly, I had not thought this through and have since found out that dealing with the emotions of others is far less messy. As I climbed the grade ladder, I entertained a long list of passing career options and eventually crossed them off one-by-one because they just ‘weren’t me’. Yet I still craved to have an “I am” phrase with an occupational title following it. How neat and clean it would be to say “I am a nurse” and it would negate the need for qualifiers and explanations. Now that I teach Careers Studies to Grade 10 students, I am having to inform my young charges that the world of work is changing and that the odds of them having an “I am” moment with a clear-cut title is being ever-reduced by the evolution of the work landscape. So how do we guide these students and help prepare them for a world where information-overload is fast and furious, distractions from paying close attention are overwhelming and their options are seemingly unlimited even in the face of their own challenges and setbacks? 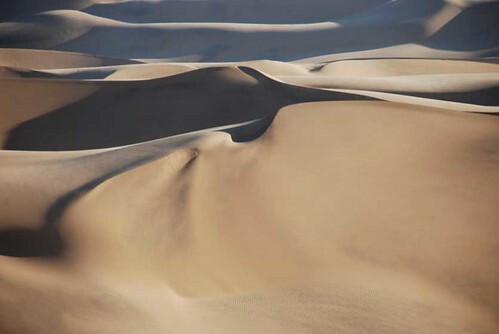 To thrive in the shifting sands of building their life’s work sand castle, students absolutely need to fearlessly cultivate these three areas. The life-long learning required needs to involve some significant self-reflection on individual style of learning, patterns built on underlying belief systems and clarity about regular ruts, obstacles and places of getting stuck. Temperament, relational style, communication patterns, interests and even likes and dislikes need to be frequently noticed and noted. The title of this post comes from an HBO series called “Brotherhood” where brothers, a politician and a gangster, demonstrate their multi-faceted personalities that extend far beyond their mere labels and is quite fascinating. At one point, a rival tells the politician brother that he is “one part charmer, four parts thug” and, to his credit, he is already fully aware of it. Self-knowledge is key to getting where you want to go even if you don’t know where that is. It’s necessary to see beyond only the bright and shiny side for authentic self-awareness. In the long list of skills that can be honed and improved (Employability, Emotional Intelligence, Self-Regulation and Leadership), flexibility is represented across the board. Once self-awareness becomes a practice then flexibility is the lubricant that greases the wheel of thriving in a changing world. Like a willow tree’s branches that sway in even the strongest of winds but never break, flexibility allows for every situation to be one of learning and growth. The only constant in life is change so flexibility is key to a world of fluid ‘I am’s’. Since we cannot clearly predict what the world of work will look like in the next decade, the students of today can be instrumental in creating it. But that means embracing diversity, change and the unique role each person plays in the design of the future through the full expression of their life’s work. Economist Allan Freeman say “We need cities and towns that nurture a creative population: diverse, culturally active, a harbor for caring and mutually respectful communities in all quarters. We must invest in place. But without people, place is just an empty space. We need new ideas to invest in them.” That vision takes a open mind that continues to learn, is aware and flexible enough to cultivate creativity. I don’t ask my students to trace themselves on paper or tell me what they want to be when they grow up. But I do ask them to delve into the areas of self-awareness, flexibility and creativity. 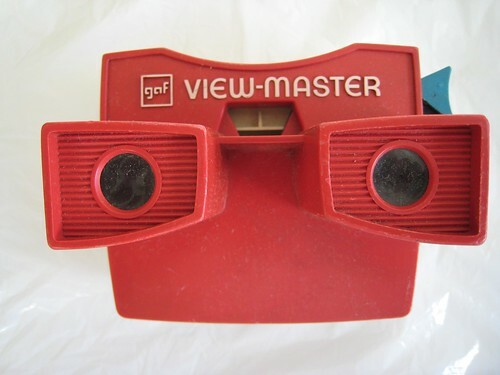 Then, with this skill set, they can look into their own personal Viewmaster to see the options untold that are waiting to be discovered. Schools who thrive on intentional community-building depend on the engaged participation of administration, teachers, students and parents but may occasionally forget that some of their introverted community members may need to express their involvement differently based on their temperament. For someone who regularly recharges their energetic batteries with solitude and quiet, restful activities, a full day of scheduled, often mandatory physical and social interaction can prove to be quite exhausting. Introverted students will generally need more space, more down time, less stimulation (noise, lights and conversation) and a slower pace just to take a deep breath. Since moments for these things are not easily found in schools, introverted students are expected to ‘come out of their shell’ and get overtly involved as if they were energized by the constant activity like their extroverted counterparts. This is an injustice to introverted individuals! And unfortunately, students who consciously choose to quietly read a book during their lunch break instead of engaging socially with their peers are seen as socially awkward or anti-social when they simply need a break in their day. It’s not an easy task, but there are ways for the introverted student to walk calmly and confidently while successfully functioning in a system designed for extroverts. Using the Myers-Briggs Type Indicator (MBTI) assessment tool to confirm that you have, in fact, been blessed with an introverted temperament. Accept the fact that you are an introvert in an extroverted world. The feeling of ‘not fitting in’ may not change with this acceptance but can be more manageable. Be proud of the introvert’s contribution to the world! You may not be school president, have a leading role in a school drama or head up student committees that promote social or environmental awareness but it doesn’t mean you can’t make a difference. Working behind the scenes on a committee to plan events, writing for the school newspaper, working at home alone on props or costumes for the next school dramatic production are all introvert-friendly ways to get involved. 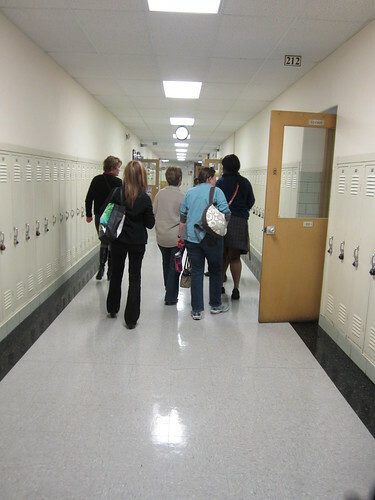 As soon as you cross the threshold into the school, you may find yourself walking faster, engaged immediately in a conversation or feeling stressed in trying to avoid such interaction. Instead of trying to keep time with the activity around you, slow down, take a breath and walk more slowly on purpose. Set a pace for the day that won’t leave you exhausted by noon. Strategically plan your down times. At lunch, during a spare period and especially after school, choose to create some distance from peers and give yourself a well-deserved break from having to navigate the social scene for a bit. Ask teachers for permission to work alone instead of always in a group explaining that you demonstrate your ability to work collaboratively in other classes and groups but need a break this time. If your introversion causes you a significant level of anxiety, invest in a professional who can help you develop strategies for your benefit. The night before a school day, have your backpack at the front door, your lunch made and set your alarm early enough so that there is no need to rush first thing in the morning. Pacing is for your benefit, will reduce your stress levels and will honour the introvert within. Start each day with simple exercises of deep, belly breathing for even just a few minutes. Once this becomes a habit, it can be used throughout the day for a calming yet energizing break. Find friends who have also inherited the introvert gene as well as extroverted friends who understand and will not take offense when you reduce your social schedule as a form of self-care. Beyond all else, introversion is your gift. Treasure it. Unwrap it regularly for life of beauty and abundant learning. You are not alone, even when you want to be!